sailboat. : What I Wore: Breathe Me. 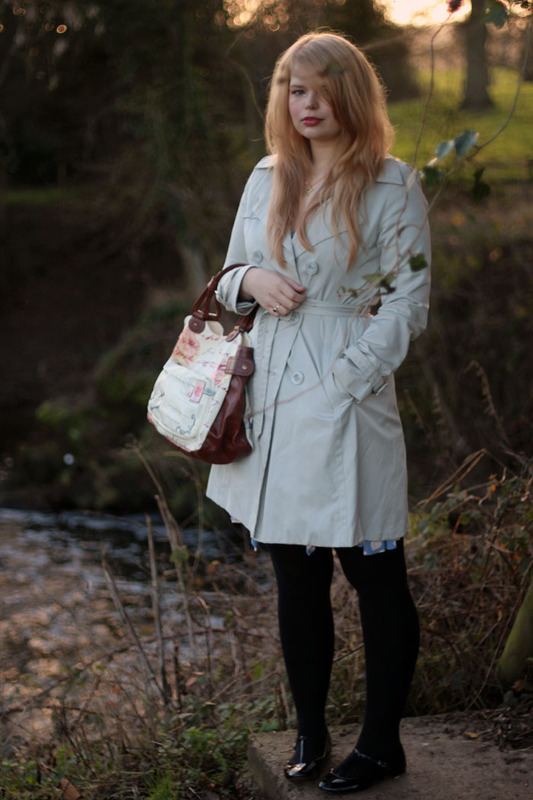 This trench coat is one of my favourite Primark finds, I'm not sure when I got it but it must have been a few years ago now. Trench coats are definitely the most flattering style for my body shape and I'm feeling the need to invest in a couple more, I think a nice navy colour would be perfect, especially if it had little touches of gold on it too. Pretty! 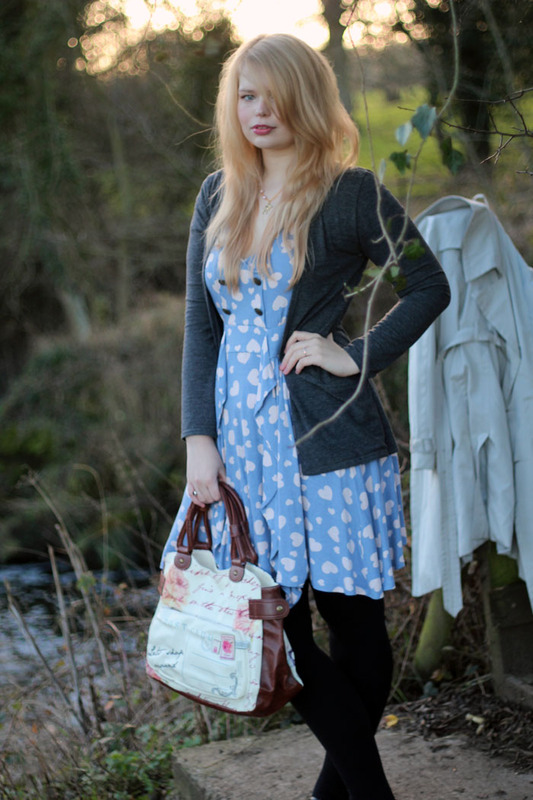 Coat: Primark, Dress: Love Label, Cardigan: Boohoo, Tights: Matalan. 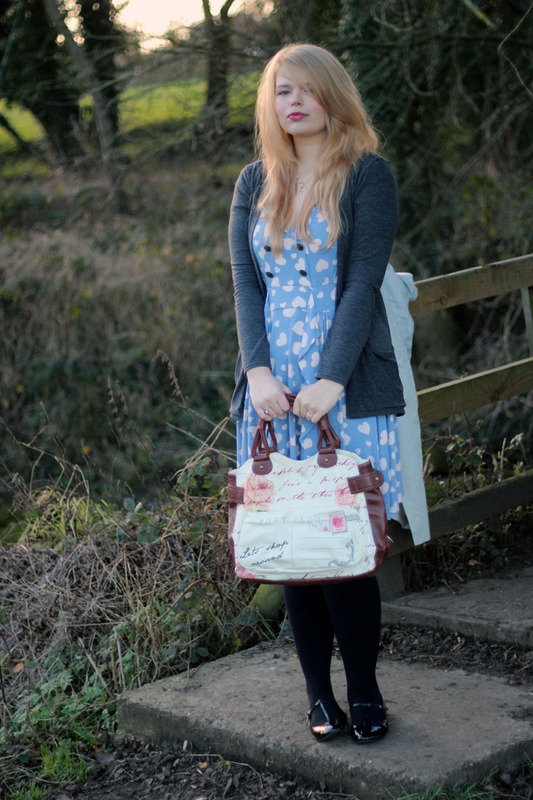 Shoes: ASOS, Bag: Disaster Designs Dandy Bag purchased from Yumi. 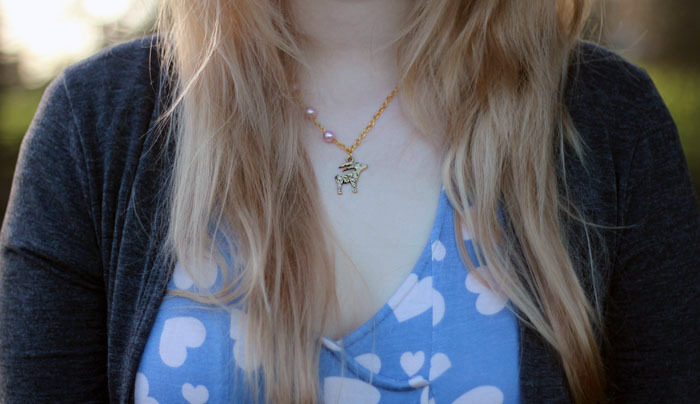 Necklace: Sailboat, Ahoy! Heart Ring: Scape Jewellery, Ruby Ring: Studio59. Cheeks: Illamasqua Promise Cream Blusher & Bourjois Rose d'Or Powder Blush. Eyes: 17 Wild Curls Mascara - horrible, don't purchase! Lips: Revlon Cherries in the Snow Lipstick. Just wanted to quickly say a huge thank you to everyone that takes the time to leave a comment! Now that blogger has finally added a reply function making it easier to see my replies, I'm aiming to reply to every single comment, even if it's just to say a simple thank you. I figured that if you take a few seconds to type something to me, it's only right that I do the same! I hope you're all having a lovely Monday. I'm going to hopefully finally film a new video for my YouTube channel (yay!) & make a start on my next University assignment (not so yay!). Lots of love! Oh, that's a pretty trench coat! And I agree, I think a navy one would be very nice indeed! & that was one creepy old man! 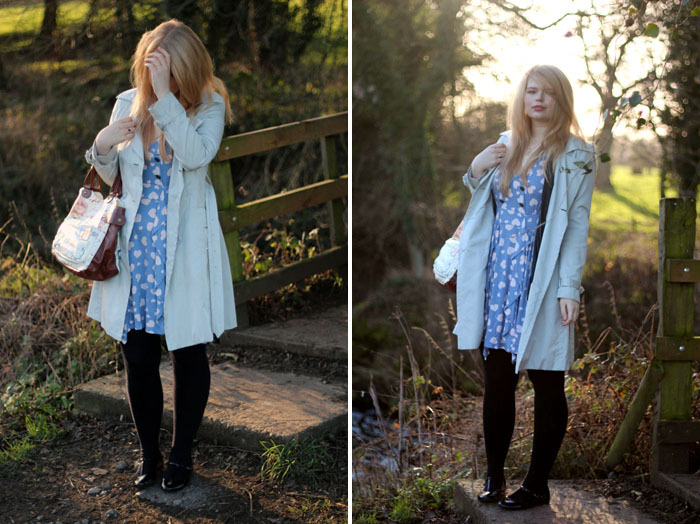 Lovely outfit post, love the coat - definitely looks more expensive than Primark! I had this trent a couple of years ago too. I wore my to death at uni. It's very thin so it shows off all the good bits rather than pad out a figure. Your jewelry designs are lovely - you've created a really cute style. It's good that you've found a direction. I love your dress, you look cute! I can't believe that old man though, how inappropriate! The coat really suits you and I love your hair in the photos - it's a lovely colour! 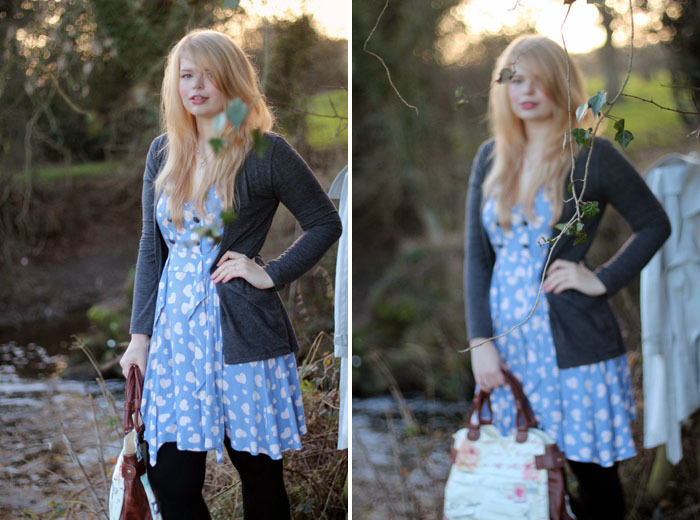 Gorgeous pictures, such a cute outfit! LOVE that dress...so cute and girly and styled so well!! Beautiful dress and coat. Love this outfit! You're hair looks amazing too, and I definitely have make-up envy! You have such a wonderful dress collection, Jennie! 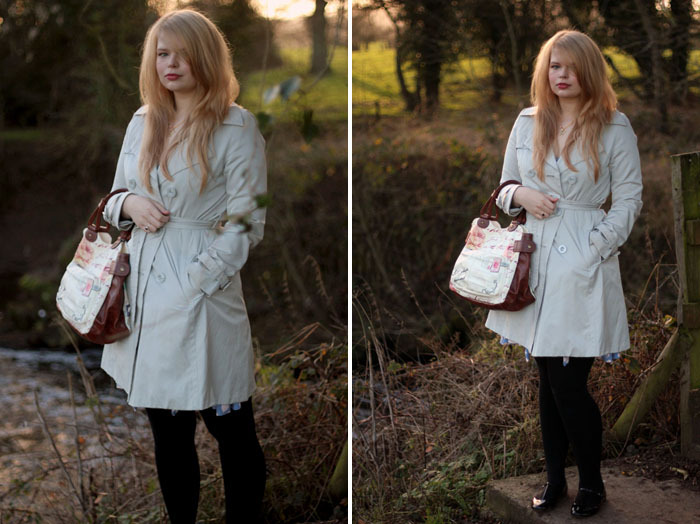 Looks perfect with a trench coat (: The last two photos of you are beautiful! I have found that as soon as i pull out my camera to take some snaps, curtains twitch and people become very aware that i'm there (even though i'm innocently shooting scenery or friends etc.) I get people make comment all the time too. I wouldn't mind, but i'm rather shy and would be quite happy for people not to notice at all, but it doesn't seem to be the way when shooting! This comment is already far too long, but i was wondering if you had wrote a post about studying with the open university at all? I'm really considering taking up on one of their degree courses in the future as actually going to uni full time really isn't for me! I remember you posting about this dress a while back and bought the pink version :D It's really pretty and flattering! The old man story sounds really creepy, but also kinda funny! My friend told me how last week, when she was on the bus, an older guy got on and sat behind her. When he got up to get off, he handed her a piece of paper saying 'you dropped this', and he'd made a weird drawing of her! D: Hopefully she'll never see him again.. Yet another beautiful dress huny, I want your wardrobe!! 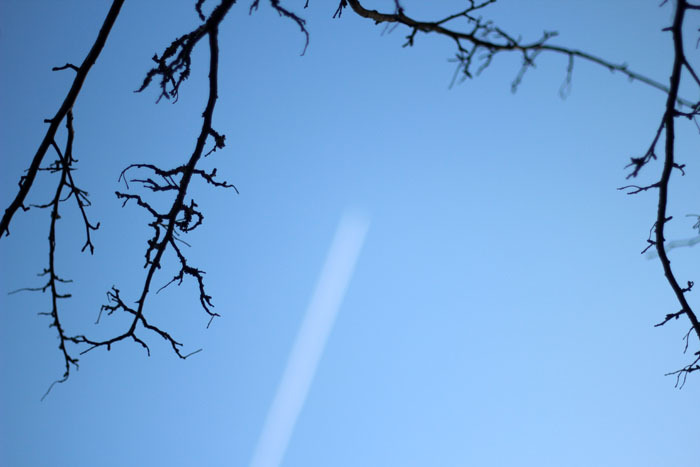 ;D The outdoor pics are also so lovely! Its got me thinking about heading to the woodland park near me too, perhaps when the weather warms up a bit though ;) & hopefully there wont be any odd men walking their dogs around! Lol! Hello skinny minnie! That dress is such a great shape on you! 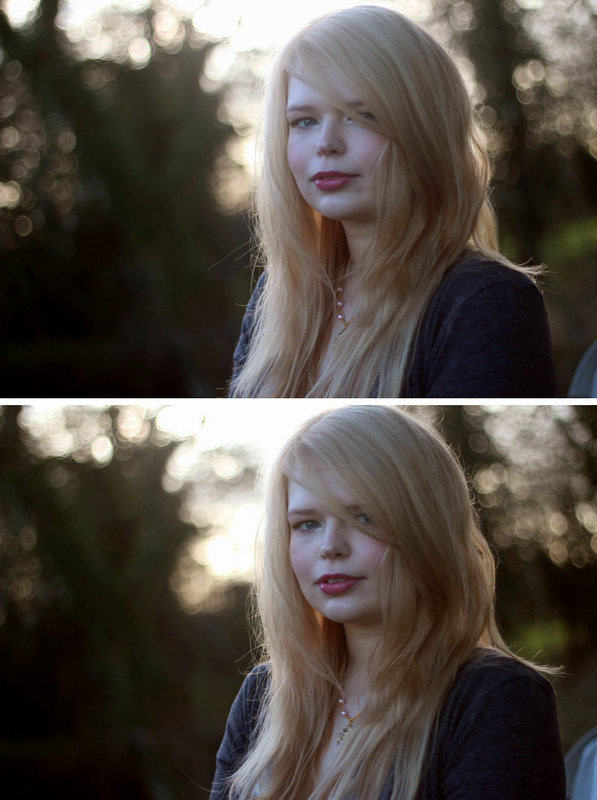 Your boyfriend is a fabulous photographer, I love the look of these pics :) Hope you're doing well honey! I am in LOVE with your dress, gorgeous! Gorgeous dress, thats so funny about the man walking his dog! 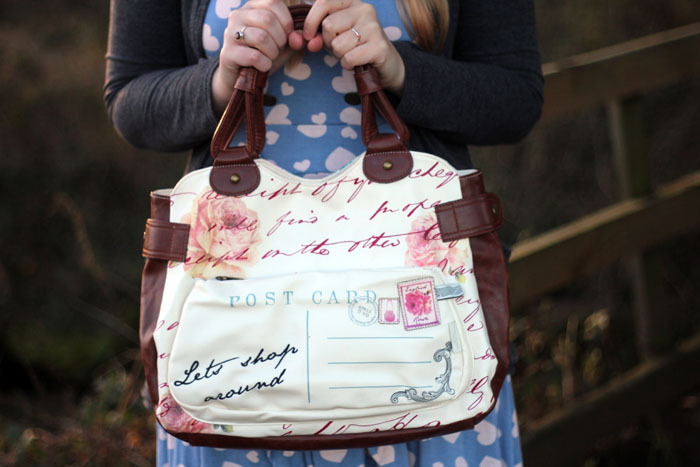 Idea for next outfit post maybe (!) Love the trench coat too, always wanted to get one like this and just wear it with tights and heels, who would know if I even have an outfit on under it! It's got a lovely shape to it! I'm glad you ventured out too - I love these outside outfit posts! Soooo lovely. That's hilarious, why on earth would you say something like that to a total stranger? Funny stuff. Like the sound of the navy coat. If you find one, send one my way! I love the tights and the mary janes! too cute! ahh that dress is the cutest thing i've ever seen! and that cardigan goes so nicely with it. love this outfit. and lol @ that creepy old man story. it WAS awkward, but the only one who should be embarrassed was the old man.